Extreme Scale off road rigs require extreme detail scale components and set #8 will not disappoint. 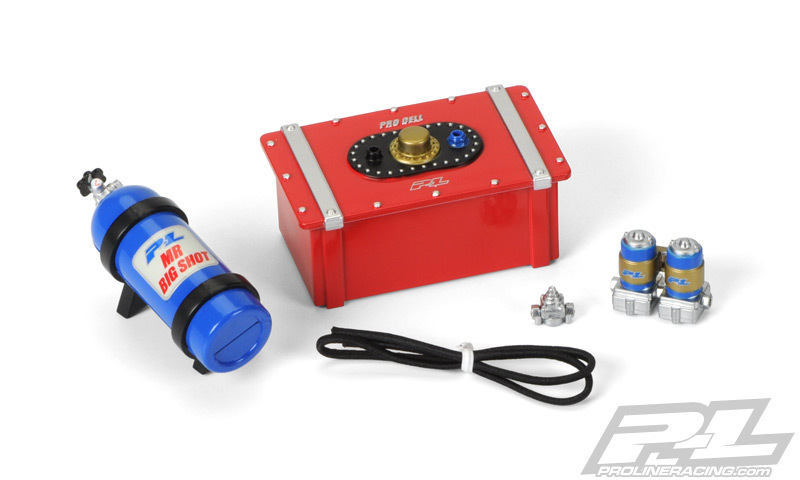 This set includes a highly detailed Race Style Fuel Cell, Nitro Bottle with mounting bracket, Dual Fuel Pumps, Fuel Pressure Regulator and bulk flexible fuel line. We've included bulk line in each of this set so you can plumb up your rig to add more realistic look!